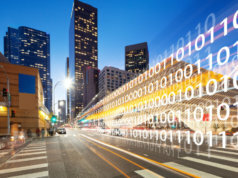 New research suggests that smart cities are wasting $341 billion on non-standardised IoT deployments, once again illustrating the difficulties facing the myriad of IoT standards. 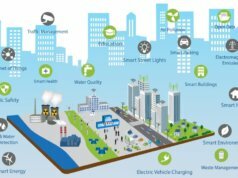 The research paper, which was conducted by Machina Research and commissioned by wireless R&D company InterDigital, finds that smart cities are squandering $341 billion on using non-standardised solutions for the IoT, instead of using standardised solutions which would save on cost, as well as improve smart city scalability. The paper further notes that smart city projects are increasingly complex, not only because of the variety of standards, but also because these roll-outs often involve multiple private and public sector partners, each with their own diverse IT system. 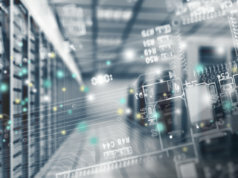 “The world of IoT is currently characterised by competing technologies and platforms, further complicated by numerous standards development organizations, and this fragmentation is causing a delay in the widespread adoption of IoT,” said Jim Nolan, executive vice president, IoT Solutions, at InterDigital, in a statement. 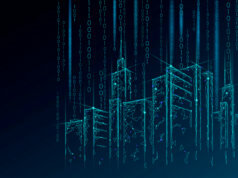 The research also points out that not all the benefits of a standardised approach to smart cities are financial, with Machina estimating that a standards-based IoT environment could result in a 27 percent increase in the number of connected devices within smart cities by 2025. Furthermore, the analysts say that this approach would improve the speed and the extent of adoption of smart city applications. They argue that there would be simpler processes in place, as well as easier ways to monetize data and give more opportunities to developers. “Government bodies investing in smart city initiatives to drive civic improvements are under constant scrutiny to ensure public funds are spent wisely. Furthermore, the existing ‘internet of silos’ approach to IoT deployment is delaying the widespread adoption of IoT solutions, including smart cities,” said Jeremy Green, principal analyst, Machina Research and lead author for this report. Speaking to Internet of Business earlier this week, InterDigital vice president Alan Carlton talked through the challenges facing smart cities, as well as detailing the firm’s own work with its 5G and IoT business units, and through the OneM2M standard. The firm’s OneMPower IoT solution is currently being used on the oneTRANSPORT smart city initiative (co-funded by Innovate UK) in Oxfordshire, Buckinghamshire, Northamptonshire and Hertfordshire, and he Carlton points to this as an example that a standards-based approach can result in “quite enormous savings on behalf of the local authority”. 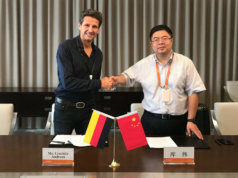 Furthermore, he adds that there could be “social, economic and environmental benefits as well”, especially around the efficiency of IoT applications and through the sharing of open data. However, he believes that national and international standards need to be established, leading to a ‘hierarchy’ of standards which could include OneM2M and even others, like Hypercat. He was keen to stress that proprietary, bespoke deployments will never achieve full scale, especially as these are often locked-in to one or two vendors. And while he cites Barcelona and Bristol as two fine examples of smart city projects in full flow, he believes that many of these are still M2M, with open data and data sharing not fully utilized. “There are a number of smart city flagships but all are essentially bespoke systems that don’t connect to the outside world,” he told us. “There is no easy plug-and-play solution. “To me, these are Machine-to-Machine and not really IoT by my definition.” He continued that, fortunately, most IoT vendors are now “waking up” to the need for interoperability, shared protocols and frameworks. The full Machina Research report, entitled ‘Open standards in IoT deployments would accelerate growth by 27% and reduce deployment costs by 30%’, is available to download [here]. Despite this news, and the fact that smart cities are an increasingly global presence, it could well be argued that the full benefits of these connected environments are lost on the citizens. I attended the Bristol is Open event last year and citizen satisfaction was arguably their number one priority, and yet a new study indicates that many Brits aren’t too aware of them – a concern considering the level of investment at government level. 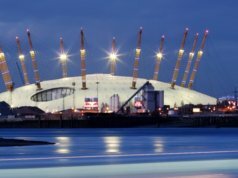 A report released by the Institution of Engineering and Technology revealed that the British public remains “clueless or indifferent” to smart cities, with a third of 531 respondents not selecting the correct definition of smart cities from a list of options.